Berklee City Music Boston offers programs for fourth through twelfth grade students in the greater Boston area. College and summer scholarships are available through the Berklee City Music Network. Explore this innovative online music education portal that enables students to study, jam, and practice using interactive modules. Scholars, practitioners, and benefactors are invited to get involved in our in-depth study. Berklee City Music Network® is a consortium of over 40 community organizations across the United States and Canada committed to delivering high-quality contemporary music instruction to youth from underserved communities. The network consists of out-of-schooltime programs that receive access to the Berklee PULSE Music Method®, as well as other resources and support from Berklee College of Music. Check out the 2016 City Music Scholarship Concert, hosted by Sinbad. 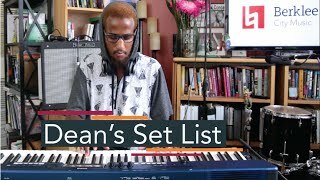 City Music Network student Micah Graves covers Victor Young's 'Beautiful Love' as part of the popular Dean’s Set List series. 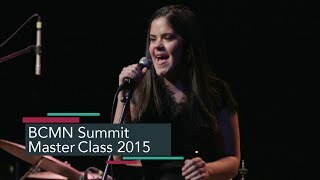 Relive the 2015 Berklee City Music Summit Master Class, sponsored by House of Blues Music Forward Foundation. "Because of Berklee City Music, I was able to go to Berklee during the summer, and while there I was able to meet people who I never would've ever met before." “The tools I learned at my City Music Network site not only prepared me for the academic study of music at Berklee, but also taught me how to be a more well-rounded individual." Read more about Ricky Persaud Jr.
Berklee City Music Network is climbing the leaderboards for #BerkleeGivingDay! We're now at 11 donors, but we know we can top it! #BerkleeGivingDay is finally here and our Berklee City Music Network donation link has gone LIVE! April is #JazzAppreciationMonth, so we’re springing into celebration with a Berklee City Music Network Spotify playlist for you to JAM to all month long! Check out our next post with details + follow our #Spotify page for weekly additions from students, staff, and alumni! Today begins our countdown to #BerkleeGivingDay, so make sure to save the date for Wednesday, April 10! This year, Berklee City Music has been provided a spotlight for Berklee Giving Day and our goal is to top the leader board and secure as many donors to support Berklee City Music Network (which includes 49 network sites + 55k youth) as possible! The overall goal is to secure 500 donors - think we can top it? We think YES, so please help us by sharing this post and follow our journey on #BerkleeGivingDay. Every contribution of any amount helps!